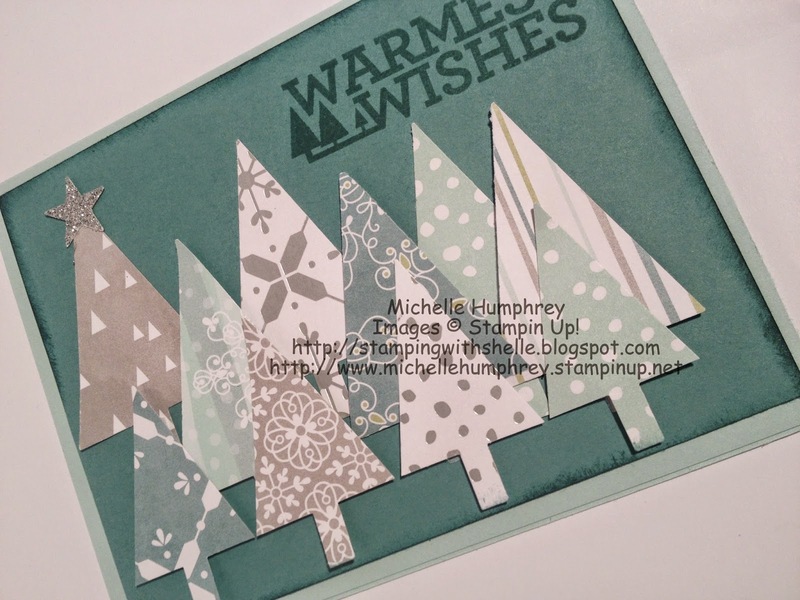 Forgot to post my final card for my Christmas/Holiday Stamp-a-Stack. 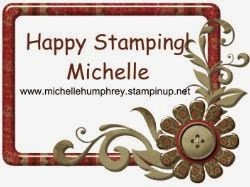 I saw a similar card on a Facebook group I belong to, but can not seem to locate it again to give the person credit (I am sorry). 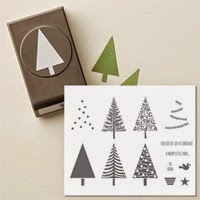 I love the way she used the Tree Punch to make the tree a smaller size. I have taken pictures of the steps to complete this look. 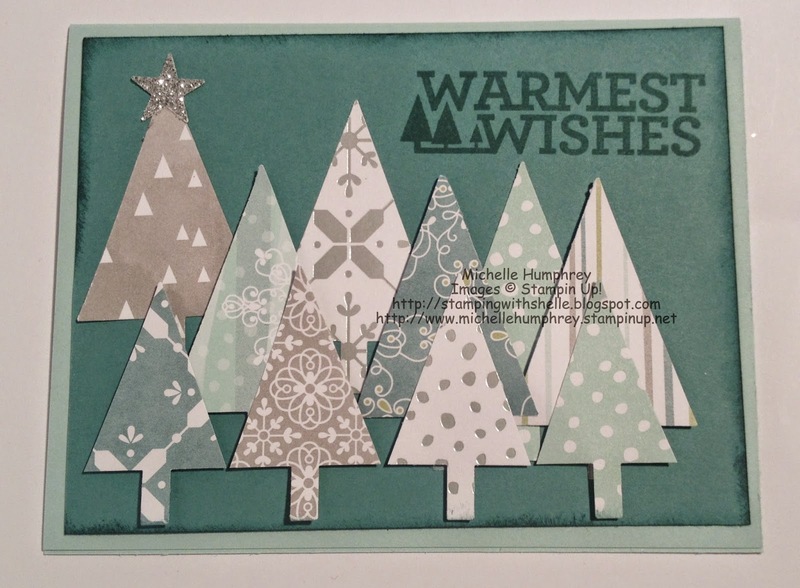 I used the Beautiful Designer Specialty Series Paper (All is Calm) from the Holiday Catalog for the trees. You use the Tree Punch to punch a full-size tree. 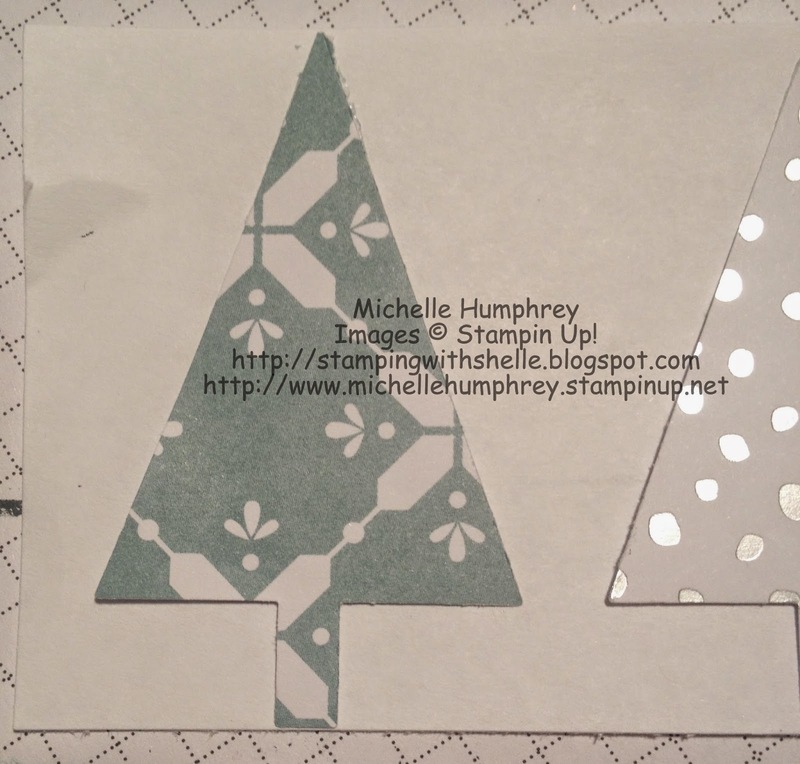 Next, adhere the tree (I did the "tip" of the tree) to a piece of copy paper. You simply punch the tree again but align the "trunk" higher in the punch. The result is smaller tree! 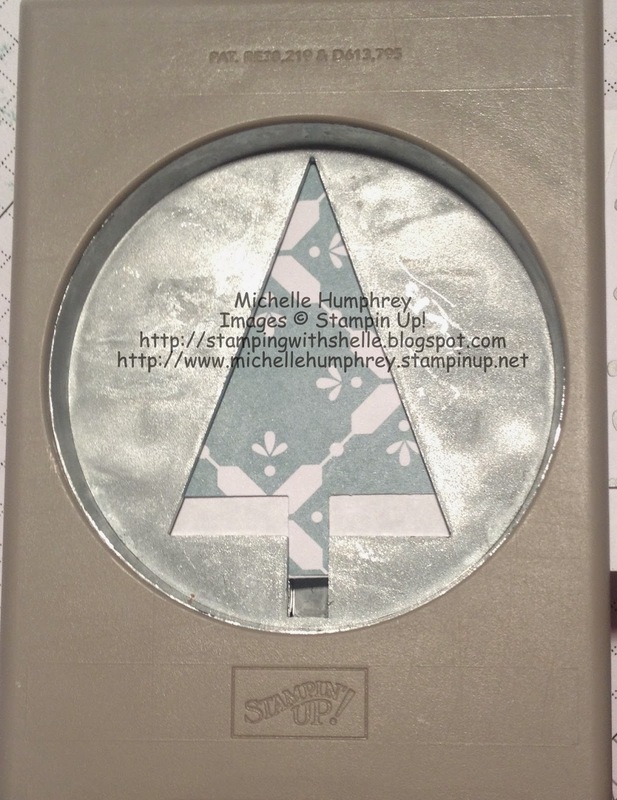 I recommend stamping your sentiment prior to adhering your trees to the card. My Sentiment is from the Christmas Bliss (Item#138897). This is not in the Holiday Catalog but is a MUST HAVE!! If you like the Tree Punch, I would also recommend checking out the Festival of Trees Bundle available in the Holiday Catalog. Save 15% when purchasing the SU Bundles.